This weekend, satisfy your sweet tooth with this healthy chocolate chia pudding recommended by Shilpa Shetty Kundra. Th next time you crave for something sweet, make this chia pudding at home. Welcome Friday! It's the last day of the week and time to reward yourself with some pudding. Whenever, we talk about some dessert, people immediately start counting the calories. Well! You need not worry at all. 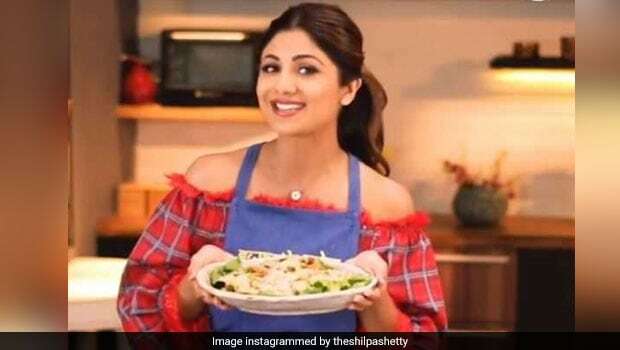 This is because, the actress Shilpa Shetty Kundra has shared an extremely healthy pudding idea this week. This dessert will not only satisfy your sweet tooth but will also offer several health benefits. This means you can have this pudding guilt-free. The healthy dessert we are talking about chocolate chia pudding. This sweet dessert is rich in fibre, protein and anti-oxidants. Now, let us talk about the ingredients that go into this dish and their health benefits. The ingredients used to make this healthy dessert are chia or sabja seeds, dates, milk and unsweetened cocoa powder(in limited quantities). With no refined sugar and all the healthy ingredients, this pudding is perfect if you feel like having something sweet. Moreover, even if you are trying to lose weight, you can have this dish as it is rich in proteins and fibre. Parents, instead of giving your children candies or chocolates, give them this homemade chocolate pudding. Chia seeds might be tiny, but these little seeds have high nutritive value. They are one of the healthiest foods on the planet and are often called the superfood. Packed with dietary fibre, chia seeds help in lowering cholesterol and are good for your digestive health. Chia seeds contain all the essential amino acids which makes them a complete source of protein. The protein and fibre rich chia seeds will help you keep full for longer. In addition, these seeds even lower high blood pressure and boost the health of people suffering from type 2 diabetes. If you do not have chia seeds you can even use sabja or flax seeds seeds as they are also extremely beneficial for your health. As we restrain from adding any refined sugar, we use dates to curb our sweet tooth.Using dates in this pudding serve as an excellent natural sweetener. Dates are a good source of antioxidants. Also called the brain booster, dates help in building bone mass, lowers high blood pressure and are great for blood sugar balance. The other ingredient that is used is the common dairy product milk. We all know the benefits of milk and why should it be a part of diet. Milk is an extremely good source of calcium. The mineral calcium helps in maintaining bone health while the protein content in milk helps you keep satiated for a long time. You can use any milk you want. This dish is extremely simple to prepare. Take all the ingredients. These include chia seeds, unsweetened cocoa powder (only for taste), dates and milk. Now, blend all the ingredients to make it a smooth paste. Keep the mixture in refrigerator and allow it to rest. Hurry! Try this irresistible pudding right now!